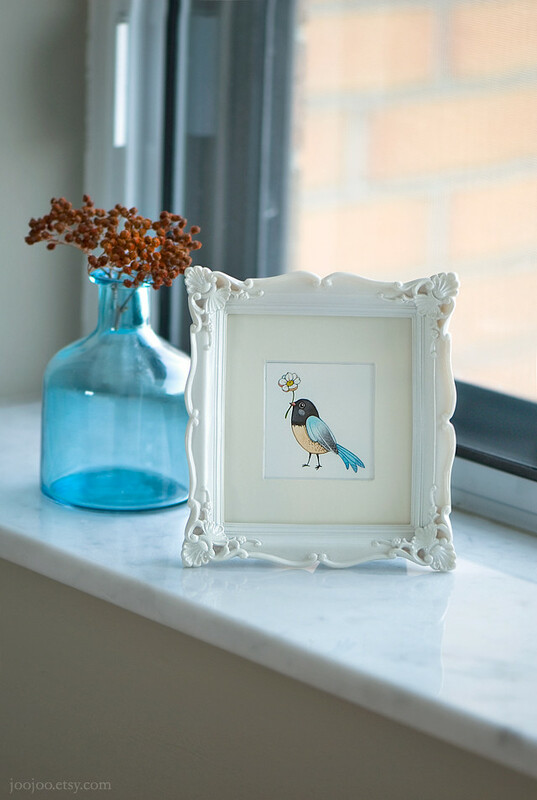 Last week I was working on these tiny watercolor birdies. As you've noticed I love everything small and miniature! These babies are available for sale in my Etsy print shop. I bought this frame a few years ago from Black's Photography. that I got from a local art store. Oh - I love them all! 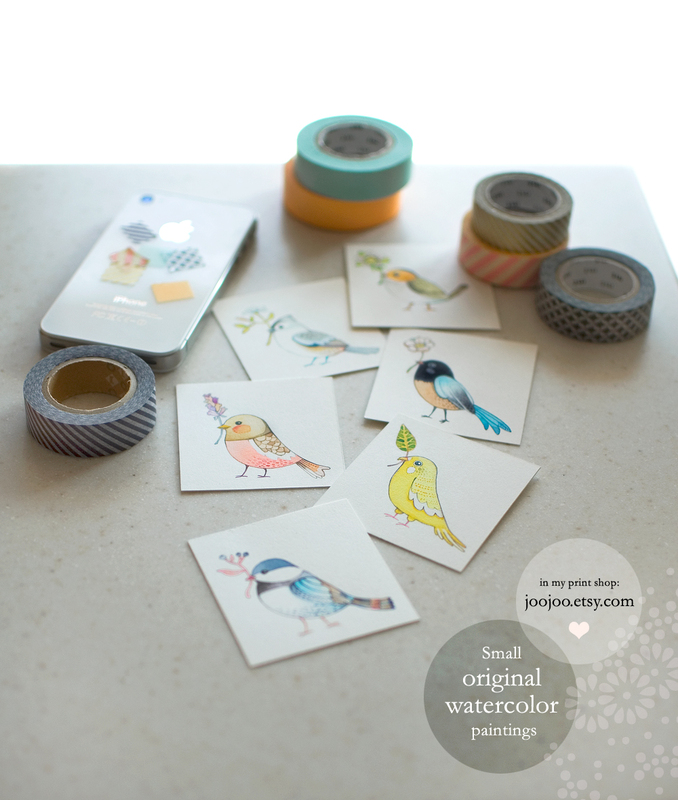 Beatiful with the different washi-tapes! I can't choose! All of them are great! They are all so cute! Great job! Gorgeous birdies! I love your drawins! They are beautiful, Afi. Hugs. 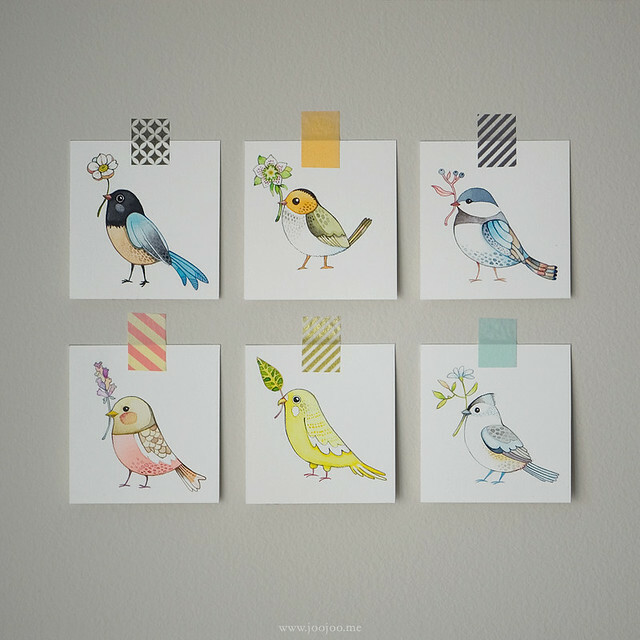 These little birds are all so cute that I really can't decide which one is my favorite! Are all so wonderful, cute and very sophisticated! oooh my goood! So beautiful!!!! !